Food and Wine Pairing FOOD AND WINE PAIRING IS SUBJECTIVE: Everyone has a different palate: Germans say something is dry, we say it’s sweet. People who. 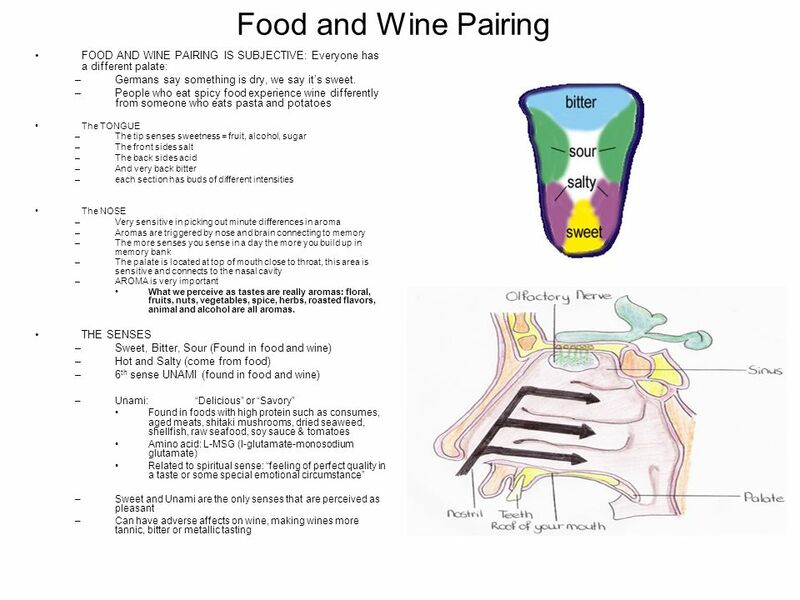 Download ppt "Food and Wine Pairing FOOD AND WINE PAIRING IS SUBJECTIVE: Everyone has a different palate: Germans say something is dry, we say it’s sweet. People who." For a healthy heart…watch the salt Looking to enhance your health? Then watch the salt…. Eating a diet high in salt can increase your blood pressure. Higher. Asian Cuisine Recipes of China, Japan, India, and Russia. Welcome to the Mediterranean Diet A lifestyle approach to easy, healthy eathing. MEDALS: Double Gold New York Food and Wine Classic A delicious blend of varieties providing aromas of jam and cotton candy, flavors of fresh cherry and. France and Spain The People I. Religion - Roman Catholic. Dining Out University of Georgia Cooperative Extension Service. 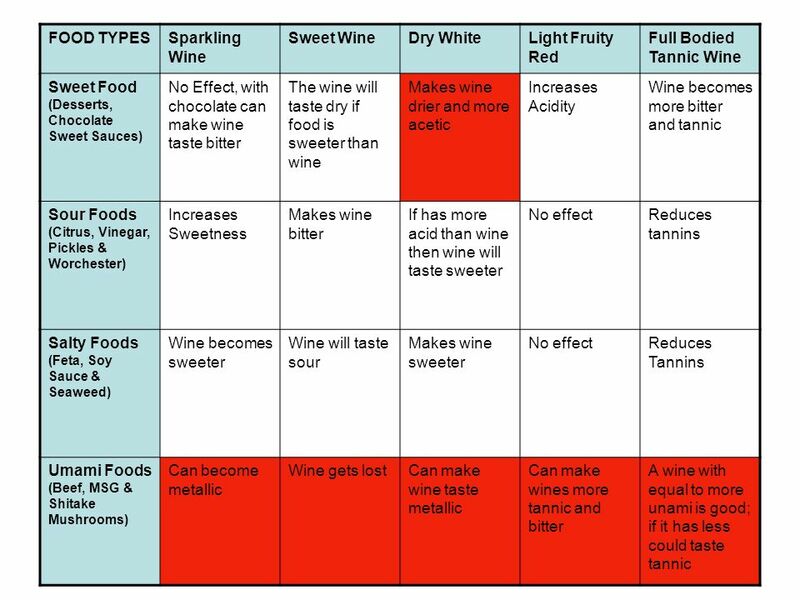 WINE & FOOD IN BALANCE. 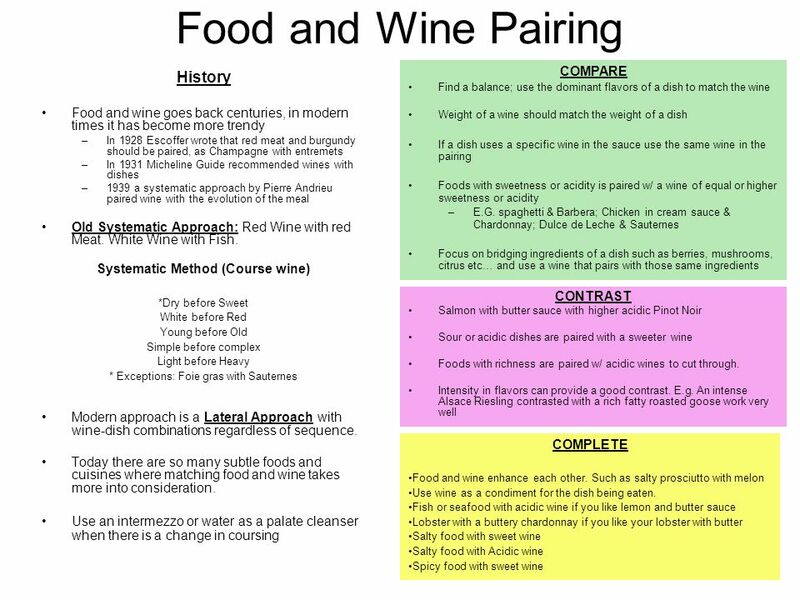 INTRODUCTION This module is all about FWEA's food and wine pairing philosophy. You will learn to recognize how food changes the. © British Nutrition Foundation 2005 – BNF Food Life Skillswww.nutrition.org.uk Healthier Cooking Practices Module Number: 12. 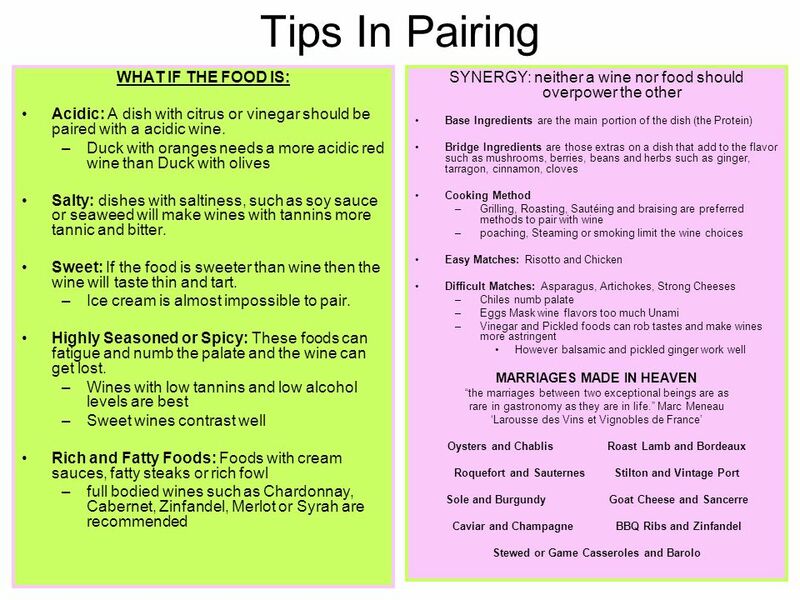 Introduction to Food and Wine Matching Professional Chef Diploma Level 2 Escoffier Rotation. © 2007 Pearson Education Upper Saddle River, NJ All Rights Reserved Labensky, et al. On Cooking: A Textbook of Culinary Fundamentals, 4 th edition. Culinary Foundations Session Six - Flavors and Ingredients CHRM 1030 CULINARY FOUNDATIONS Flavor and Ingredients. 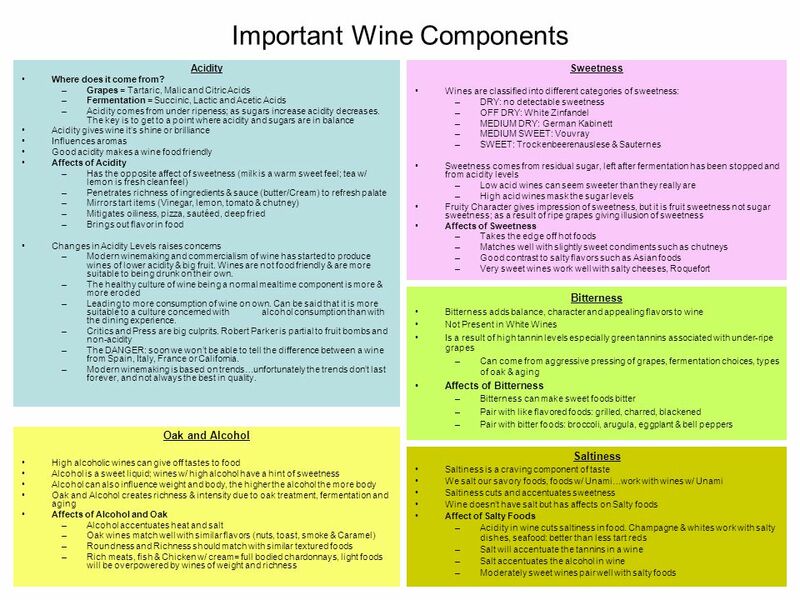 Section I: The Fundamentals of Wine Chapter 5: Food and Wine. Beef Flavor Fundamentals. 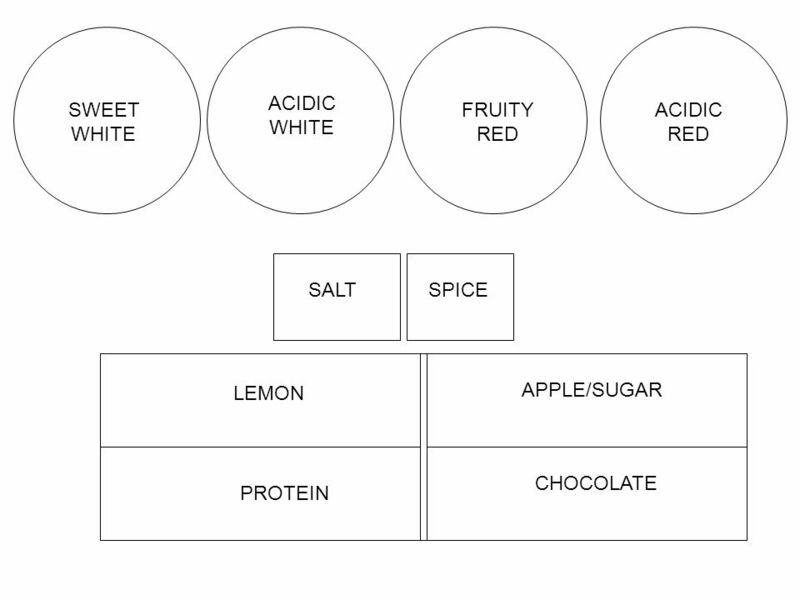  Flavor Fundamentals:: A Brief Overview  Beef Flavor Pairings  What Influences Beef Flavor and Tenderness Beef: A Tasty Topic. Microwave cooking Enables the cook to heat smaller items and individual portions of food. Not generally used for primary cooking. Microwaves cook rapidly. 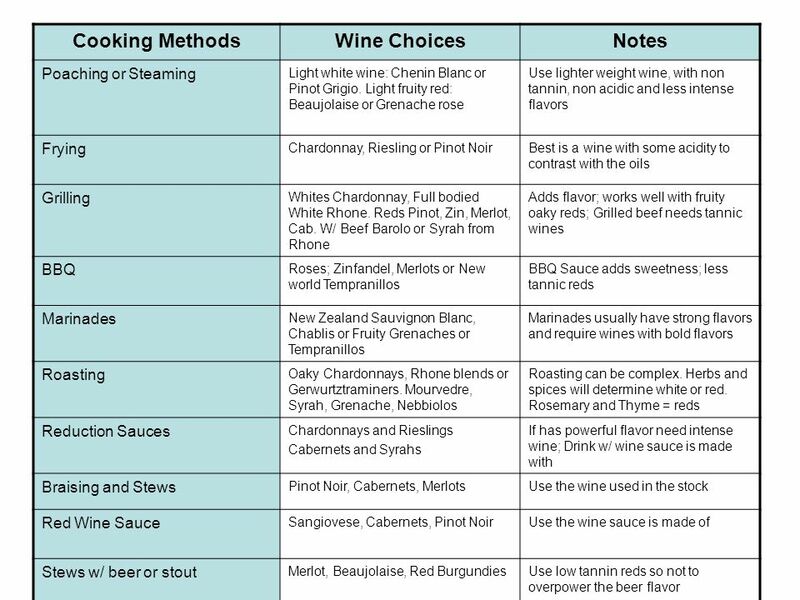 A discussion on Wine Pairing With Chef Leonard Ruiz Redé Seeking Balance. Indian Wines Tasting At Four Seasons Hotel Mumbai.